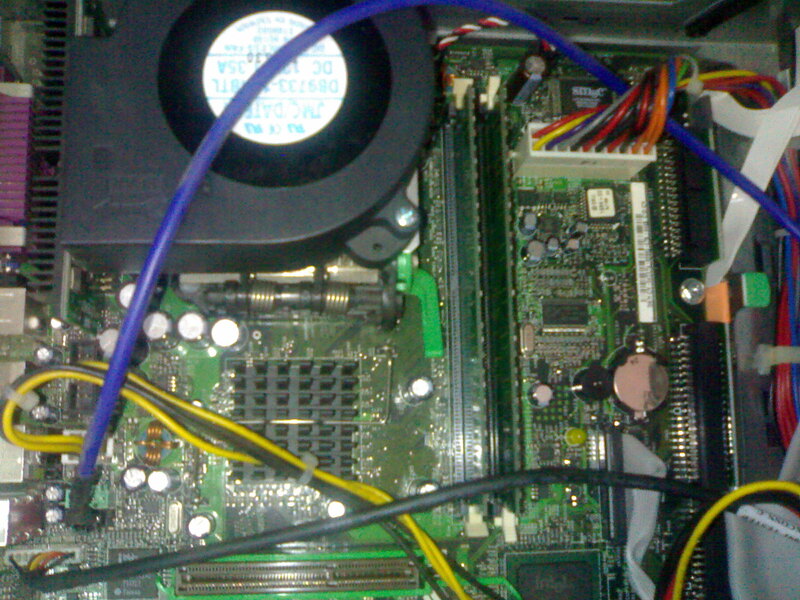 Now the CPU or the Central Processing Unit or System Unit contains the main inside hardware parts of the computer. Let see there the motherboard, the memory module(s), the CPU chip, the hard drive, DVD RW drive, the Power Supply Unit, the cooling fan and heat sink on top of the CPU. Lets see did i miss anything, well the motherboard contains all the connecting point of all the hardware devices mentioned above. Ah h theres the graphics card or video card, the sound card for high end users and the network or LAN card optional for others. Today's motherboard comes with a built-in S/V/L, wait what an S/V/L. It stand for Sound, Video. and LAN. The only thing missing if your purchasing a new motherboard is the CPU and it cooling system and the memory module which is sold separately. But if your purchasing a whole computer set then that not applicable. Okay lets focus on the motherboard that is found inside every computer. The motherboard is where it all connects. The monitor using its cable is plug into the video card port which is connected or built-in the motherboard. The same is true for the mouse and keyboard, they connects via the PS2 or USB port which is usually built-in into the motherboard. The same is true to all external devices that we can connects to the computer, your Web cam, Mic, Speaker system, your smartphone, printer, scanner, external drive and a host of other devices. 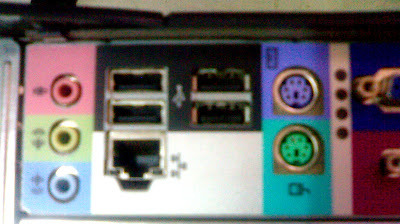 The most common port used in interconnection for today devices is the USB port. Your supposed to just plug it in and let it connect to your computer. Okay where suppose to blog about the external parts not the inside parts, but i thought i should give you a sneak preview of my nest post. Back to the external parts. The CPU Case is also important not just for appearance but also for the cooling system it can provide to your CPU unit. You should know where are those FAN located so would not be able to block them when placing your computer on tight spot. Also it should be strong enough to handle the daily grind that it would experience. The air should be able to get in and out of your CPU Case with the aid of those cooling fan properly positioned in your case design. The CPU is where all the work is done, the input, processing and output is done all in there. Make sure to also check on your CPU regularly so that dust build up and other stuff like small insects should not make your CPU there permanent abode. It should be check regularly, lets say weekly to maintain it in top form. I just wanted to say thank you. So much of the info put out there about computers is for people who are very computer literate. It is nice to have someone explain things clearly and simply without making me feel stupid. Thank you! !